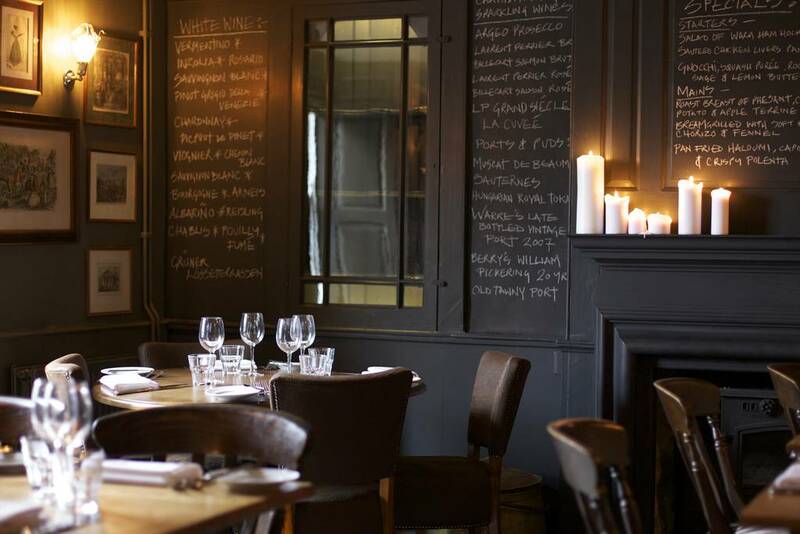 We invite pubs to join Sawday’s when they are interesting, imaginative and hospitable. 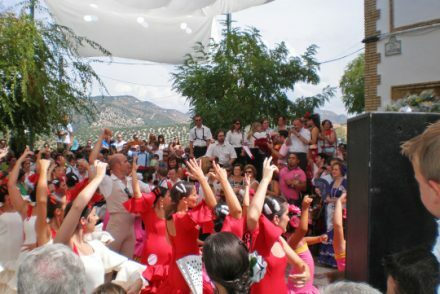 We look for authenticity, laughter, a vibrant sense of community and gastronomy deeply rooted in the soil. 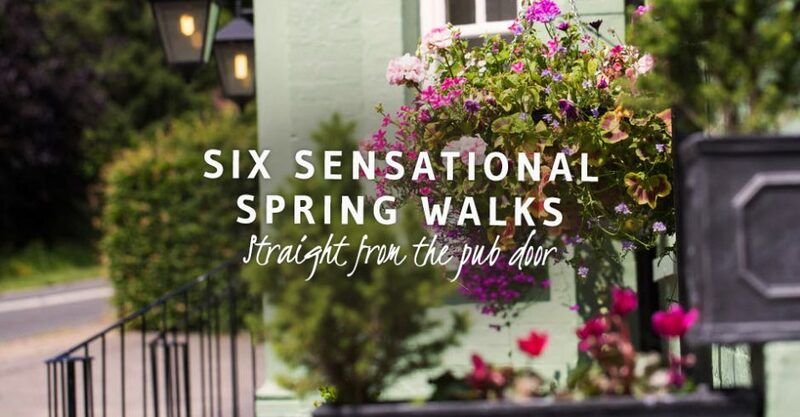 So if you’re a pub person, we think you’ll love these six, chosen because they make perfect starting (and finishing) points for exploring beautiful spring-transformed landscapes. 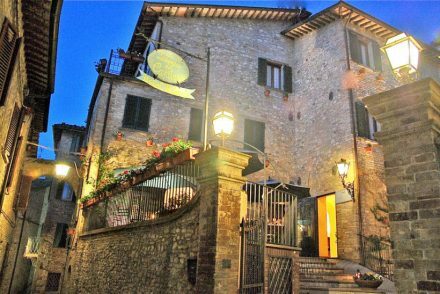 Wander through hidden valleys, pretty villages and picture-perfect hills to finish at a gorgeous inn and reward yourself with the freshest food. Because the best kind of walk is a pub walk. Close to Ludlow and brilliant for ramblers, The Pheasant at Neenton is a chirpy pub for walkers, families and dogs. The front bar is cosy with cushioned leather sofas and chairs, wood-burner, rugs strewn on the tiled floor – and an orchard beer garden for when the weather is on your side. The walk: Roam the spectacular walking country with vistas across old England and the Marches. It’s just two miles to the Shropshire Hills Area of Outstanding Natural Beauty, and four to Brown Clee hill, the highest point in Shropshire, with a 360° view. On a clear day, you can see the Welsh mountains, the Peak District, the Malvern Hills and the Cotswolds Way. The food: The Pheasant tunes their menus to the seasons and seeks out local suppliers where possible. Sunday lunchers can share a meat platter served with dripping-basted roast potatoes or those that are just peckish can snack on a pork pie with piccalilli at the bar. 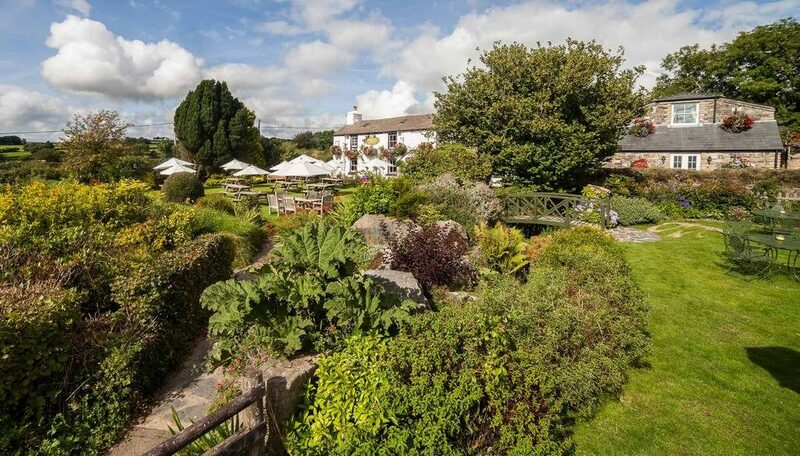 This beaming white pub is the quintessential English country inn. It’s covered in flowers on the outside, dark-beamed and rough-stoned on the inside and has its very own cricket ground and club. The name, which they get asked about a lot, is the result of a friendly dig at the portliness of a former landlord. The walk: The garden itself is almost big enough for a good hike, but there are two great options from the front door depending on how much exercise you feel you need to justify a draught ale. Turning right out of the pub you head for either Horndon or Lane End. The Horndon trail will send you on a scenic 3-mile round trip, while the Lane End route is a longer hike up to Ger Tor, which you can make as long as the Lane End car park isn’t flying a red flag. If it is, you might walk into the middle of an army training exercise. The food: Locally sourced ingredients including some fabulous beef are used to create a few pub classics like Steak & Kidney pudding alongside more spontaneous creations based on daily fresh fish deliveries from St. Ives and a range of local cheeses. A perfect place in the Cotswolds. Expect beams and stone-flagged floors, inviting dark green walls adorned with antlers, fat candles on dining tables and photos showcasing local history. There’s a big old fireplace for winter, darts and dominoes in the bar, a lovely walled garden with a wood-fired pizza oven that’s doing brisk business. The walk: Nearby Westonbirt Arboretum is 600 acres of stunning Victorian landscapes and perfect for a woodland stroll any time of the year. The food: Renowned for using the freshest locally sourced produce, all the game comes directly from the neighbouring country estates – including the exquisite Badminton venison. Pop in for a deli pizza with cured and spiced meats, the King’s burger with cheese and chorizo, or sautéed mixed nut and herb polenta with cherry tomatoes and basil – you won’t go home disappointed. 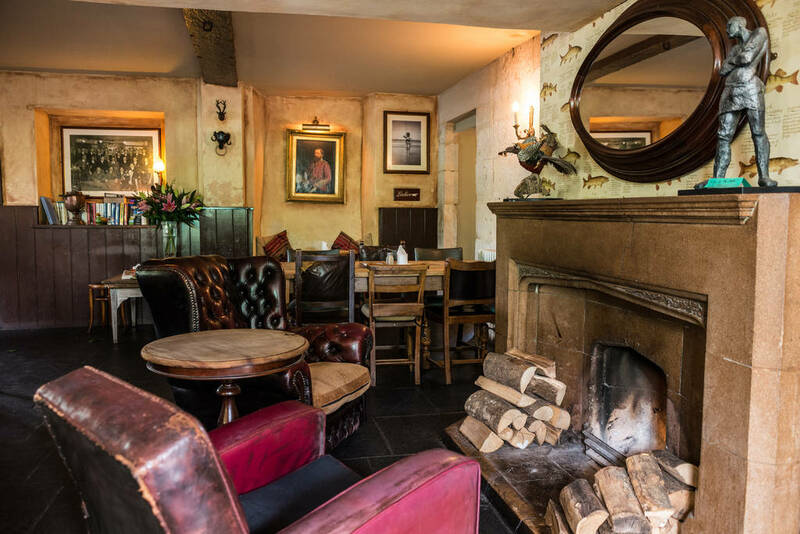 At the picturesque top of the Grand Old Duke of York’s hill is an L-shaped bar of flagstones and rose walls, worn leather armchairs, carved panelling and big fires. 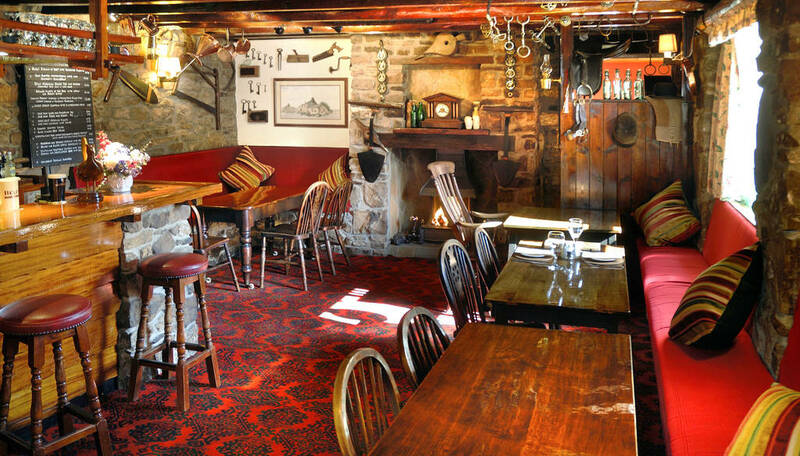 Three hundred years old, and family owned for the last 17, the Durham Ox is a relaxed affair with super-friendly staff. The walk: The hour long Crayke Estate Walk starts from The Durham Ox car park and rewards you with great views of Crayke castle and across the Howardian Hills. Enjoy beautiful woodland, pass by local farms or hop over the river Foss. The food: The menu showcases local produce; game and seafood dishes are firm favourites as well as asparagus, wild garlic and wild mushrooms. We’re especially fond of the ‘Yorkshire Tapas’ menu including honey and mustard chipolatas, haddock goujons with tartar sauce and black pudding, watercress and apple breadsticks – great for picking at after a long walk. This country pub has it all: a vast inglenook stacked with logs, lots of cosy flagstone’d corners, a daily menu that supports local producers, and a rather stylish wine list. Take a pew on one of the benches topped with fleeces and munch on bread from the on-site bakery. 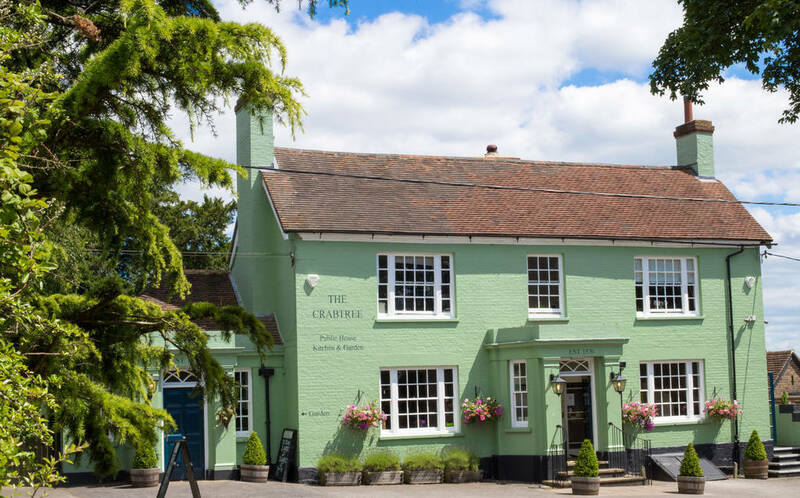 The walk: Surrounded by leafy lanes and lush green fields, The Crabtree is the perfect hub for exploring the Sussex countryside. There’s a short three mile walk that passes through pretty fields and alongside streams and waterfalls – perfect for spring. The food: Pop in for a pint and a pie, a scrumptious mid-walk snack (Scotch egg and curried mayo, red pepper hummus with spiced flatbread) or three beautifully presented courses if you’ve worked up an appetite. On top of the hill that dips down to the mellow heart of Bradford-on-Avon, lies this cheering renovation of a neglected Bath stone inn. 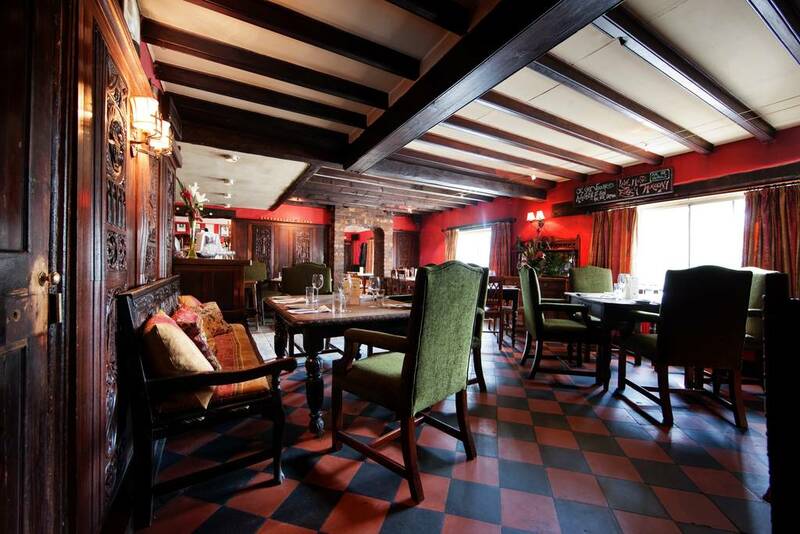 Delicious pub classics in planked rooms, fat sofas, log fires, lovely staff. Locals and visitors rub shoulders happily here. The walk: Take a beautiful one-and-a-half mile stroll along the canal to Bath, leading you to the Avoncliff Aqueduct. An impressive sight that carries the canal and railway over the river Avon. The food: Opt for a Sharer’s Board, an Anglo-Saxon take on tapas – hummus with smoked paprika, scotch egg, calamari with garlic and lemon mayonnaise, spicy red pepper meatballs, pickled vegetables, chutney, bread and salad. Also on the menu are delicious pub classics alongside the Sunday sirloin and Yorkshires which are heaven. service. Do you’ve any? Kindly permit me recognise so that I may just subscribe. You can sign up to our newsletter here and also start saving places on a personal list.